Fall cover star Prince W. Dykes is the CEO of "Royal Financial Investment Group," host of "The Investor Show" and award-winning author of the "Wesley Learns" series (financial education books for children). 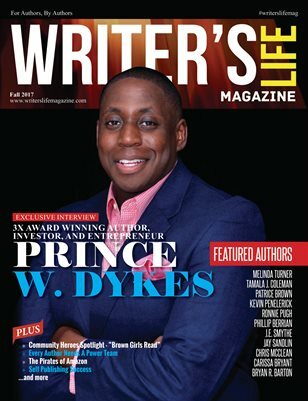 In this issue, you can check out our exclusive interview with Prince W. Dykes as he shares with our readers the inspiration behind his award winning children's book series!!! Plus, we've got tons of great writing tips, exclusive author interviews, and books by some of the most sought-after authors and publishers around!! !